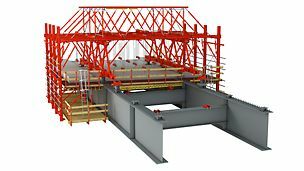 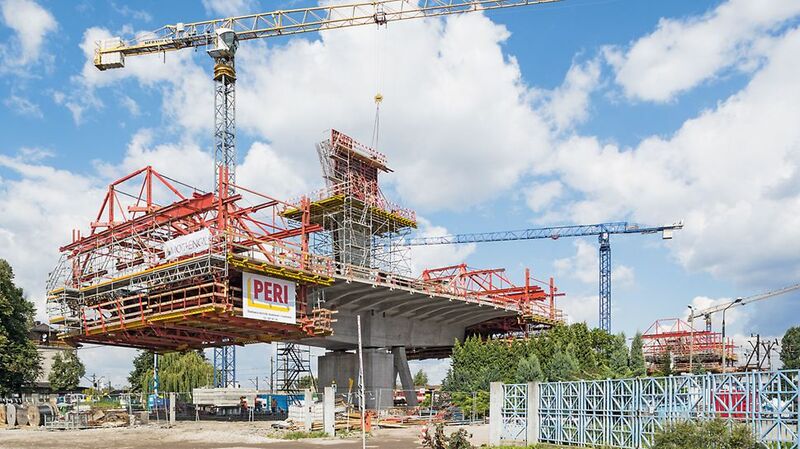 The PERI VARIOKIT solution for bal-anced cantilever construction is a combination consisting of load-bearing, specially developed system components for this building method and VARIOKIT core components to complete the supporting structure. 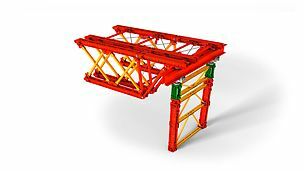 Based on the VARIOKIT Engineering Construction Kit, the rentable system components are quickly available. 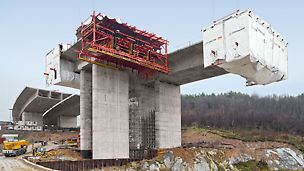 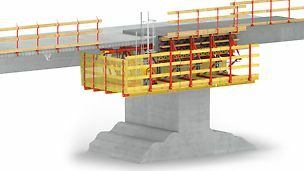 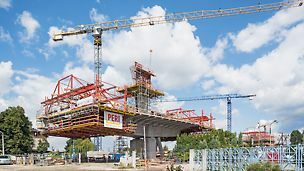 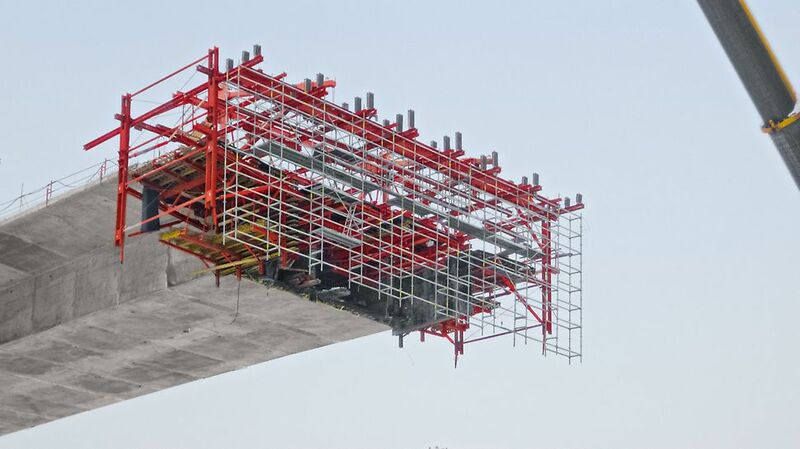 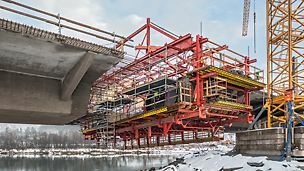 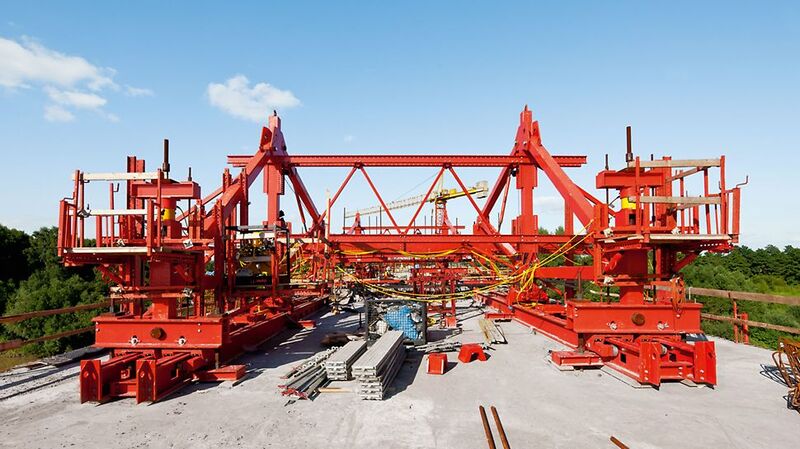 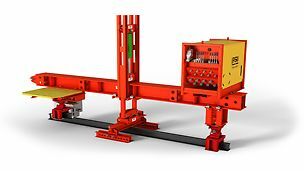 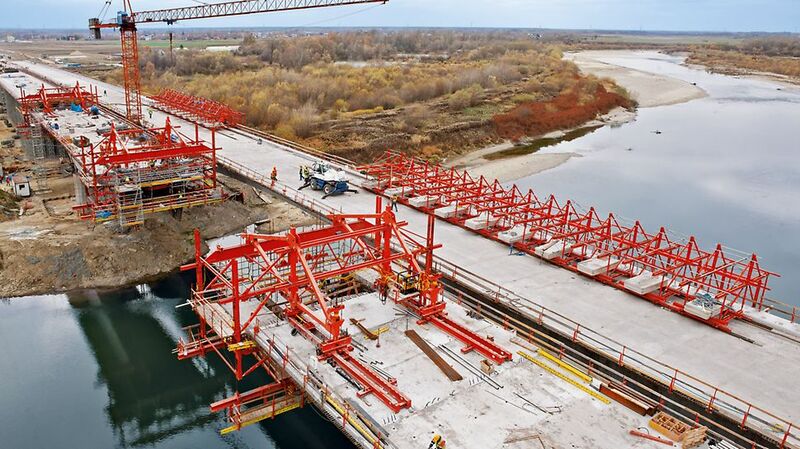 The bal-anced cantilever equipment can be adapted flexibly to accommodate a wide range of bridge cross-sections and geometries.